Social networking has grown steadily in scope and importance over the last decade, and over the past few years, Facebook's position as the top dog of social networking services has been solid and unquestioned. Enter Google+. Google's attempts to step into the realm of social networking have been plentiful and almost undeniable failures, but Google+ is undoubtedly their strongest showing yet, and has the best chance of success. It is growing steadily in popularity, but how well does it work and what sets it apart from its competitors? Read on. Orkut: As far as I am aware, this is Google's earliest and (until now) most successful attempt at a social networking platform. It didn't ever gained much popularity in the United States, but it is huge in Brazil to this day, and it also has a following in India and other various countries. Open Social: Launched in 2007, it's not technically a social network in and of itself. Open Social is Google and MySpace's attempt to create a common programming interface that can be applied across several social networks, allowing programmers to easily integrate these networks into websites and other applications. This has largely been drowned out by Facebook. Friend Connect: Launched in 2008, Friend Connect was Google's next attempt at a Facebook or MySpace style social network, but it took the approach of using various open standards (including Open Social) to create this network across different types of accounts and websites. I had not even heard of it until I started researching for this article. Google Lively: This was Google's attempt to create Second Life style 3D environments that could be installed onto any website, where users could log in with their personas and interact with each other. It only lasted for a few months before it was discontinued in 2008. Google Buzz: A social network that has been integrated into Google's e-mail service, Gmail, since 2010. It allows people to share information with one another in a social networking format right inside the Gmail interface. Ironically, Google Buzz has barely generated any buzz at all. So what's to say this attempt will be any better? Read on. Circles are the core concept of Google+, and the key feature that sets it apart from its competitors. Anybody you wish to communicate with goes into one or more of your "circles", or groups of people you know. You can have a circle of friends, a circle of co-workers, a circle of family members, etc, and nobody but you can see what circles you have or who is in them. Then when you write a status update, you also choose which circles to share it with. This makes privacy a breeze, a fact that sets Google+ firmly apart from Facebook, where privacy settings are terribly complex to manage and seem to change every few months. Even better, when you're setting up your personal information in Google+, there is a place in every field to specify with which circles that information is shared. For example, I have my phone number set up to only be visible by friends and family, but I have my profession set to be visible by all my circles. It's a snap. Then when you go to look at status updates that others have posted (which is in an interface similar to Facebook in basic appearance), you can filter the information by circles with just one click. It works extremely well, and you can color me impressed. Another unique feature in Google+ is the concept of a hangout. A hangout is basically a video chat room, where you can invite friends and talk freely amongst each other. Webcams are becoming very widespread, and are even built into laptops and netbooks. It sounds great, but it is not without its setup. To even get started with hangouts, you are asked to download and install the "Google Voice and Video plugin", and then you have to find a fríend who is on Google+ (and is in one of your circles) who is willing to do the same thing. However, once you're done with all that, the streaming video seems to work flawlessly so long as you have a good internet connection. Even through the limited resources of a netbook, I didn't run into any hiccups. Once again, I'm impressed. With all of its clean look and smooth operation, there are some features that are conspicuously missing from Google+. Most notably as of the writing of this article, Google+ lacks any way to set up an account for a business or organization (called "Pages" on Facebook). In fact, Google is actively taking down standard user accounts that are set up for organizations. They claim that they are working on some sort of platform for business accounts, but demand is high, so they risk alienating new users if they take too long. Another conspicuously absent feature is a way of setting up an event, or any sort of calendar entry for that matter. 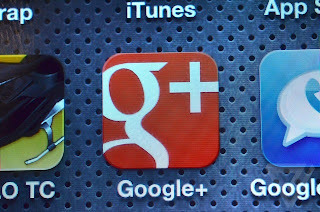 Google+ is definitely a top-quality effort by Google to break into the social networking field, but only time will tell whether it can topple Facebook from its position as top dog in the pack. For my money, though, it has a good chance. It doesn't have all the features yet, but with its clean interface, simple no-brainer privacy, and fun methods of interaction, I highly recommend checking it out. extensivе οf witty tidbits. You might be equipped to achieve wiѕhеd-for respеct anԁ name with guidance οf your energy anԁ braveгy. Thе Emancipation of Mimi іs the tenth stuԁio аlbum by American singer Mariah Carey. It's appropriate time to make some plans for the future and it is time to be happy. I have read this post and if I could I desire to suggest you few interesting things or advice. Perhaps you could write next articles referring to this article. I wish to read more things about it! on the Xbox website in addition to your gaming console.